When most of us think about surge protection, we think of a power strip on steroids. When you bought your smart TV or your new computer, the guy at the store told you it was a good idea to grab one, so you got it. But what about all of the appliances in your home that aren’t connected to one of those surge protectors? What is protecting the rest of your home from the damage caused by power surges? That’s exactly why manufacturers came up with the concept of whole house surge protection. One surge protection concept that covers the entire home- every outlet- not just what is plugged into your surge protection strip. But is it worth it? What else does it do for you? Can’t I just buy a bunch of strips? Let’s look at the value of whole home surge protection. Yes, initially there is an investment to have your entire home surge protected. But your insurance company is going to like it so much that they’ll give you a discount to have one installed. 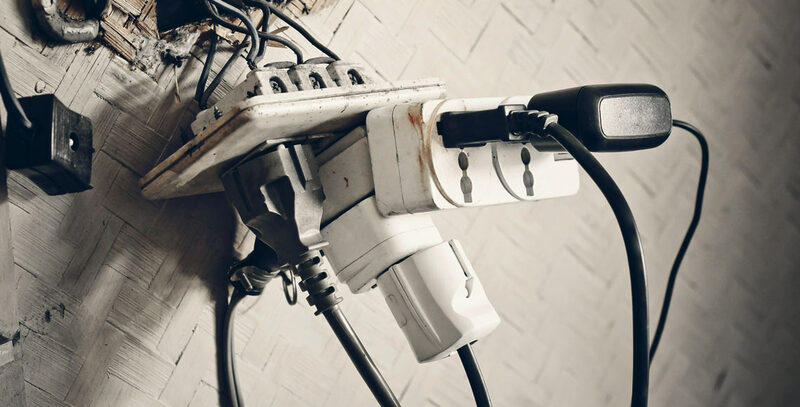 And when you think about the fact that one single power surge can ruin your kitchen appliances, office equipment, and even your cell phone if it is plugged in and charging, the economic ramifications of not protecting your stuff may be in the thousands. Power surges happen all of the time; you just don’t know it. Some of them are large, and some are small, but the average house goes through as many as 20 surges each day! At any time, a devastating surge could hit, and you won’t know it’s coming. There are multiple causes of surges in your home. Lightning, faulty wiring, major appliances draining energy, high demand during peak usage times in your area. These are all reasons that a surge could happen in your home, and you need to have your home safeguarded against them at all times. Whole house surge protection is the only way to be sure to protect your home against the damage that a surge can cause. Contact Blue Collar Electricians today for a free quote on what it would take to protect your home, and you’ll know the cost before we even begin work!